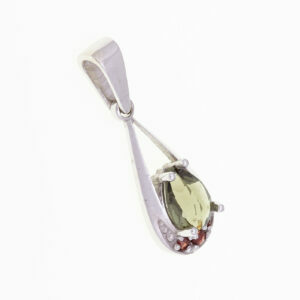 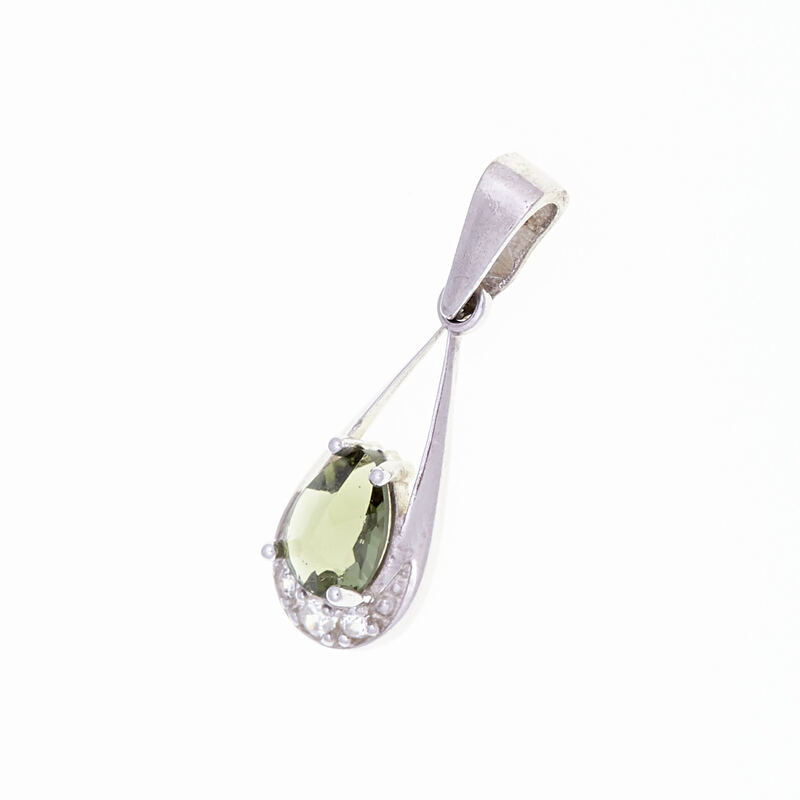 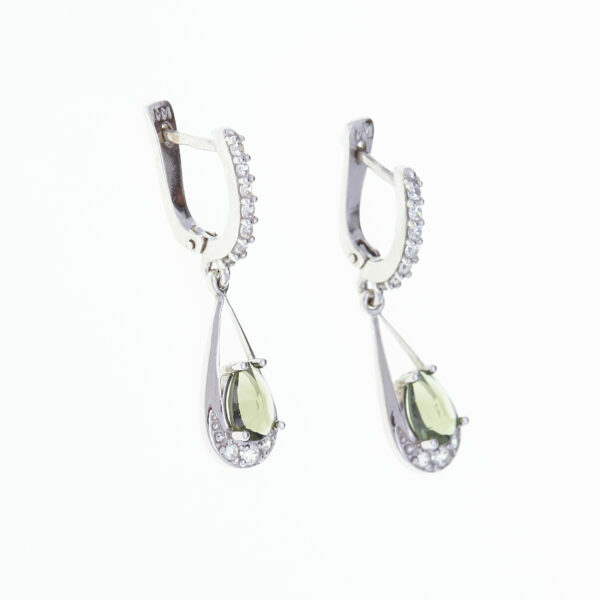 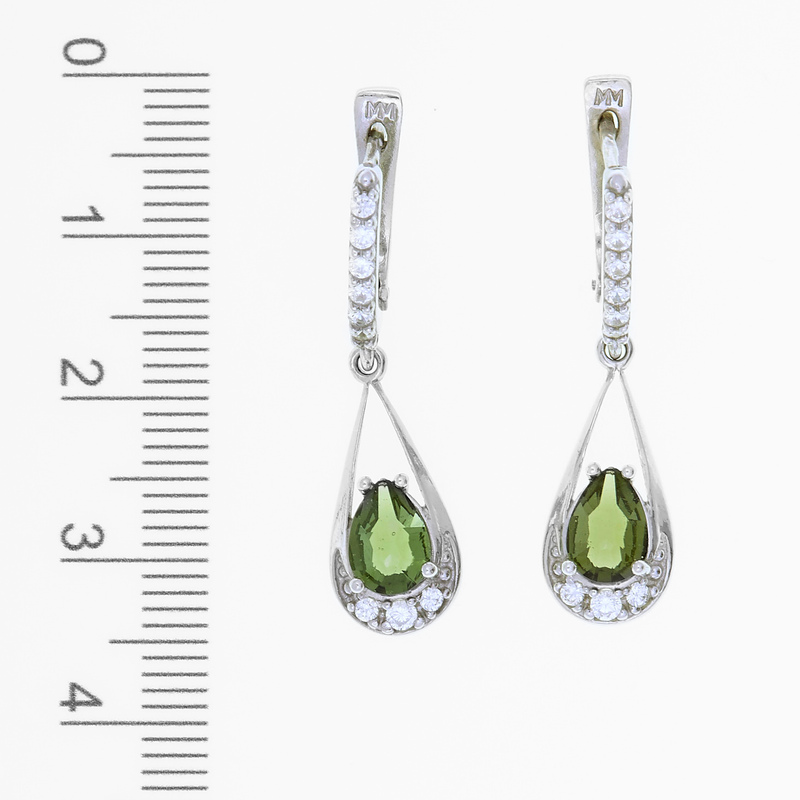 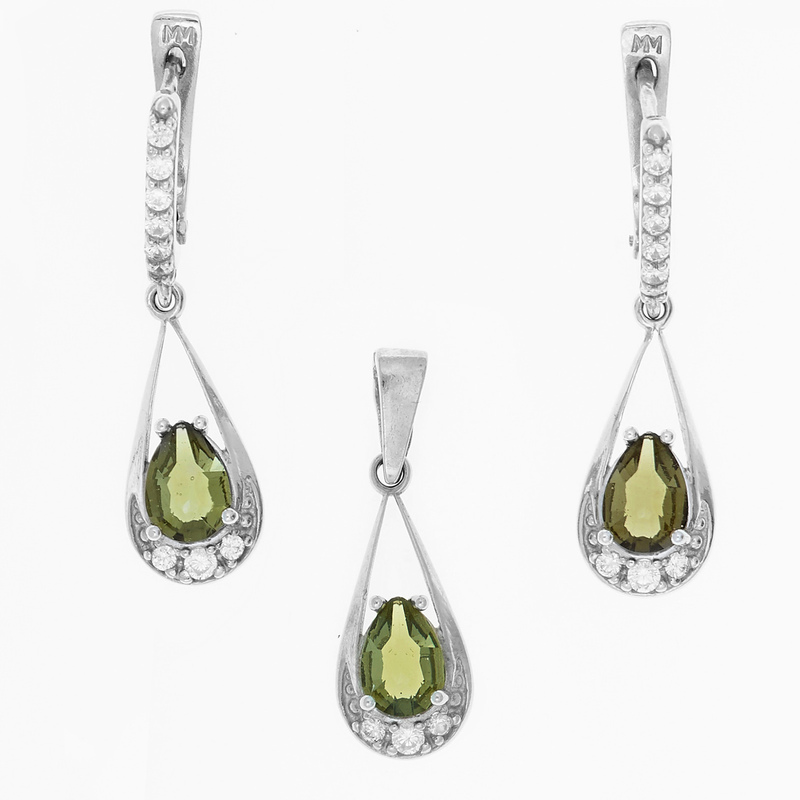 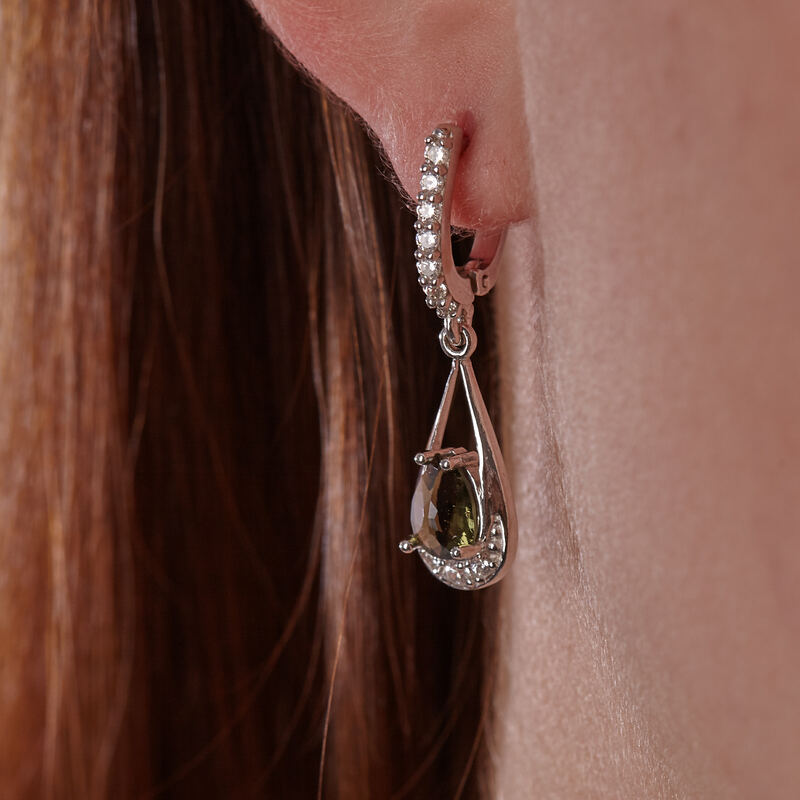 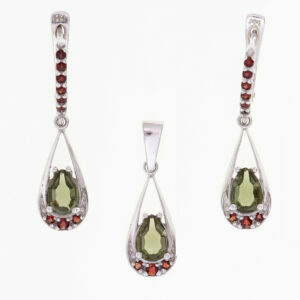 Silver set of pendant and earrings with teardrop cut moldavite (7 mm) and brilliant cut faceted cubic zirconia. 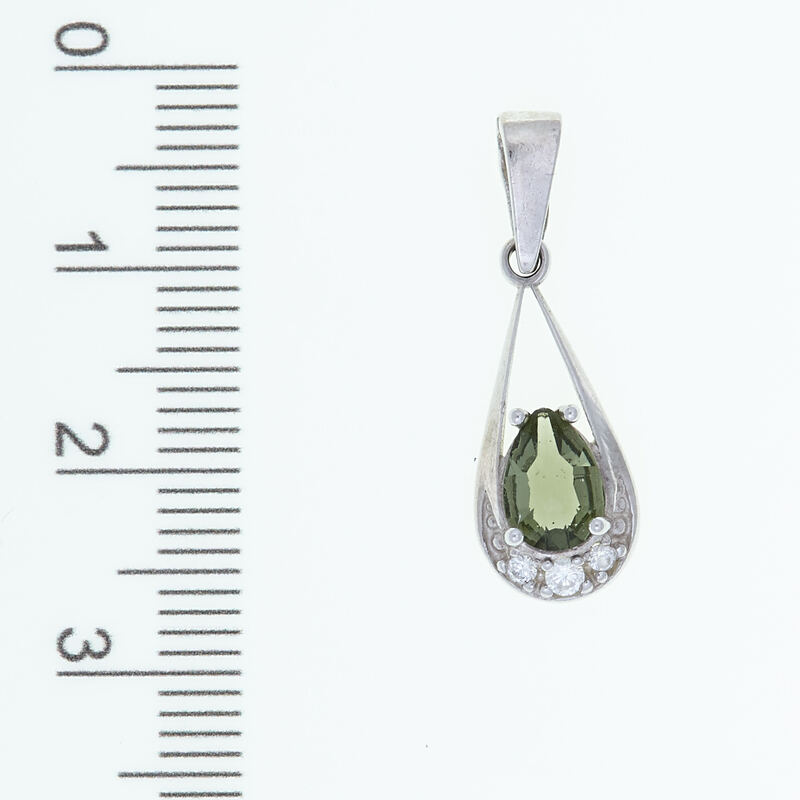 Original Moldavite Museum collection. 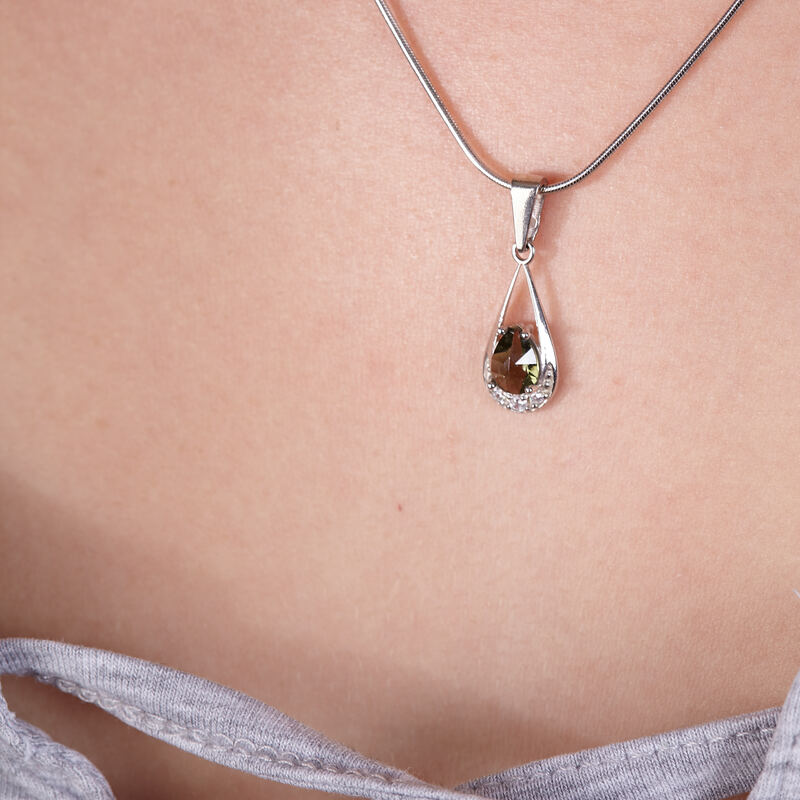 Completely made in the Czech republic. 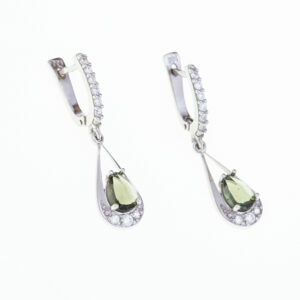 Material: silver 925/1000, rhodium plated .